Ronian contributes a Featured Editorial in Photonics Online! In this article, Ronian explains the basic physics governing the relative illumination in imaging systems. 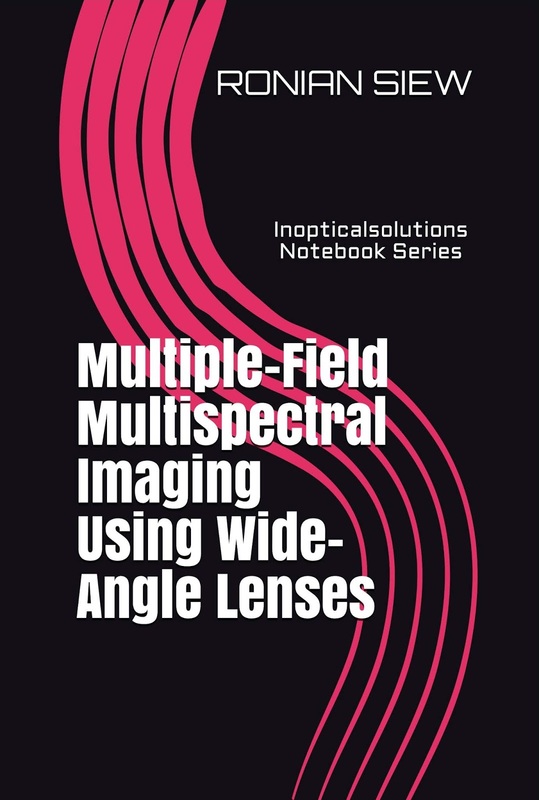 Ronian publishes a new book, Multiple-Field Multispectral Imaging Using Wide-Angle Lenses. 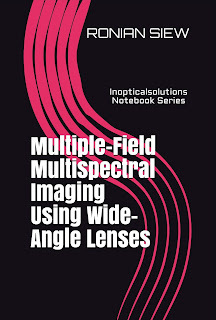 Written for researchers, optical designers, and optical engineers, this short book shares Ronian's investigations into the design of multispectral imaging systems that do not suffer from "spectral shifts" due to thin-film filters used at non-normal angles of incidence. Click HERE to preview first pages! Click HERE to buy it on Amazon! 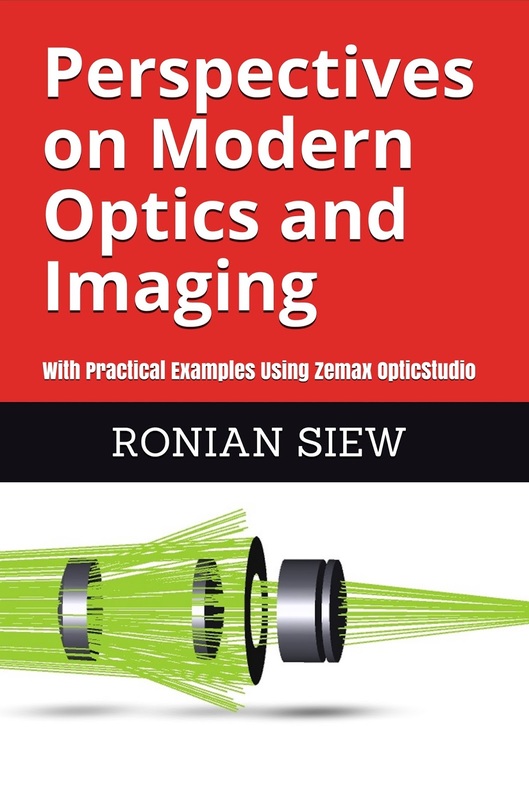 Ronian publishes a new book, Perspectives on Modern Optics and Imaging: with Practical Examples using Zemax OpticStudio. 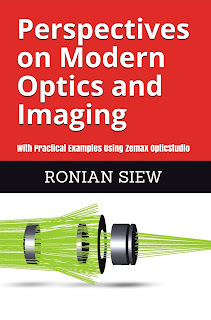 Written for any optical engineer, designer, or any serious optics enthusiast who is interested in basic optical models of a selected number of modern applications, this book offers fresh and insightful discussions on the fundamentals and their role in modern optical systems. Click HERE to buy it on Amazon. Ronian co-authors a technical white paper on passive optical athermalization of liquid lenses. The paper describes how thermal defocus of the final image in liquid lens based autofocus systems can be minimized by applying fundamental imaging principles. In this way, thermal defocus effects on the liquid lens are managed even without the use of an active temperature feedback system. Ronian publishes a short commentary in the journal Optical Engineering where he introduces the concept of "differential distortion" and how it impacts the relative illumination of imaging systems [R. Siew, "Relative illumination and image distortion," Opt. Eng. 56(4) 049701 (Mar 31, 2017)]. Ronian publishes a new study in the journal Applied Optics on how to reduce glass optimization time from hours to minutes for the design of apochromatic lenses with large field of view [R. Siew, "Practical automated glass selection and the design of apochromats with large field of view," App. Opt. 55, pp. 9232 - 9236 (2016)]. Also, click on the image below to read a Linkedin version of this article, complete with a simple explanation, and Zemax lens files. 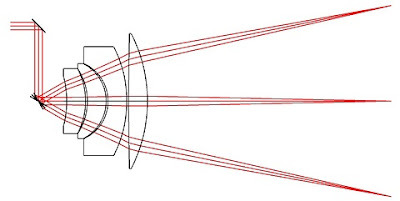 Contrary to common experience, when an ordinary imaging lens is used to focus incoherent light from an extended source (such as the Sun), the brightest and most intense position of the focused beam is not at the image plane, nor is it at the focal plane. This specific effect is independent of diffraction and aberrations, and it would also apply to lenses with negative refractive index. In a new study published in the Journal of the Optical Society of America, Ronian discusses this interesting geometrical property of lenses and proposes a number of potential applications to signal detection, metamaterial lenses, and nonimaging optics [R. Siew, "Axial nonimaging characteristics of imaging lenses: discussion," J. Opt. Soc. Am. A 33, 970 - 977 (2016)]. 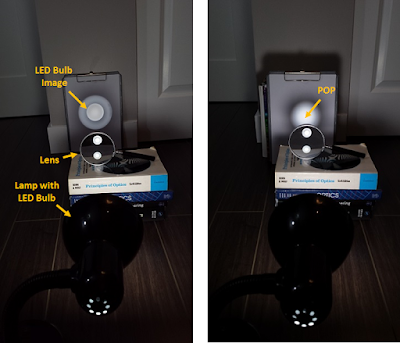 Also, click on the image below to read about Ronian's simple "home-made" optics experiment where he demonstrates this focusing effect using a magnifying glass and an ordinary LED desk lamp! 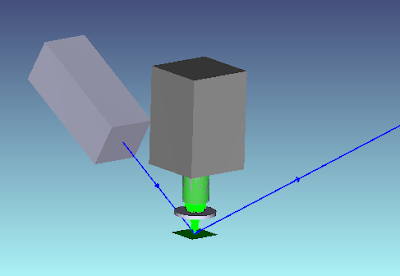 Ronian co-authors a technical white paper on laser induced damage threshold of optical coatings for CVI Laser Optics (a division of Idex Optics and Photonics). Ronian writes a feature article, "Raman spectroscopy monitors thin-film Si-PV cells," in the June 2013 issue of Laser Focus World magazine.